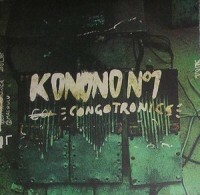 Konono Nº1 used makeshift mics and placed them on a number of simple thumb pianos to create raw but beautiful sounding amplified percussion, backed with joyous cries and traditional drumming. An African guitar band they are not, but another music style worth investigating, definitely so. These swirls of grooves went unheard for a time, and have only recently surfaced in the previous decade. For those of us who turned to Africa looking for new sounds and inspirations, King Sunny Ade and Fela Kuti may have been quite a jump. This music was deeply political, and could be heavy, in contrast to its uplifting grooves and non-confrontational delivery. It was guitar music, but so un-rocking and unrelenting in groove that it set a new template for some of the more interesting groups of this last century in the U.S. You can call it cultural appropriation, except our last batch of boundry-pushing musicians come across as inquiring, collegiate, and earnest in their borrowing… Understanding and respect of culture is taken away, basically, along with these mined musical forms. An empathic give and take.